Optional: candy of your choice! 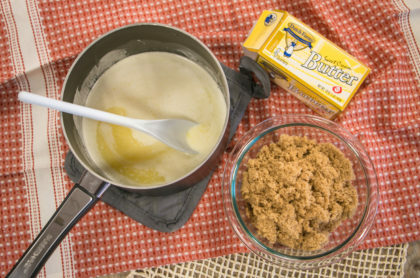 Melt the 2 cups of Dutch Farms® butter in a sauce pan. Add the brown sugar and bring to a boil. Add the baking soda, vanilla and Light Karo syrup to the sauce pan and stir. 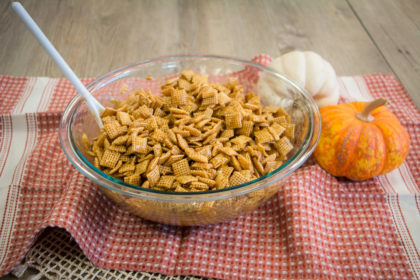 Put the cereal in a large bowl, or two if it doesn’t all fit in one. Pour the caramel mixture over the cereal and stir coating all of the cereal. You will then take the mixture and pour into a brown paper bag. 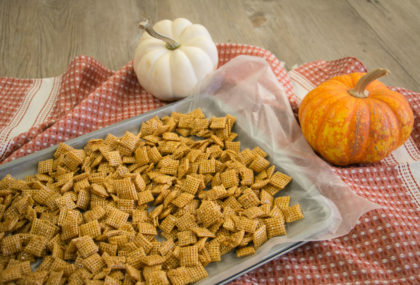 Take the paper bag of Caramel Chex mix and microwave for 1-2 minutes and shake. Microwave again for 1 more minute and shake. 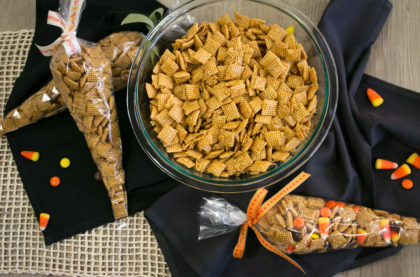 Then take the Caramel Chex and spread onto wax paper and let cool. The mixture may clump together but once it cools you can break it apart and it is ready to eat! 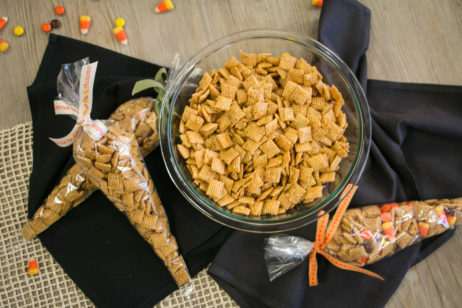 Once the Caramel Chex is cooled you can mix in your favorite candy as well. 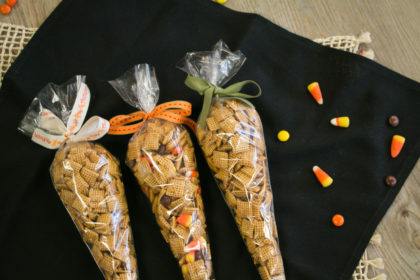 We chose candy corn for our fall goodie bags!